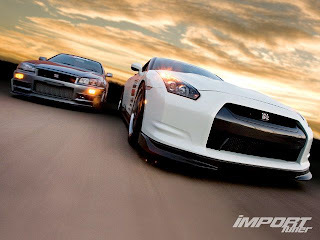 Import Tuners latest issue has SP Engineerings R34 GT-R, and R35 GT-R in a comparison. Not a real test, unless you count racing the dyno a test. I wouldn't really compare a twin GT35 RB26 to a VR38, as they are two very different engines. 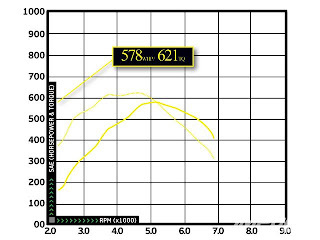 The VR makes a ton more torque down low than an RB,and the RB revs out much higher. The most impressive feature of the VR38DETT power plant is its linear power delivery, creating a quick-responding, well-balanced engine with minimal lag. 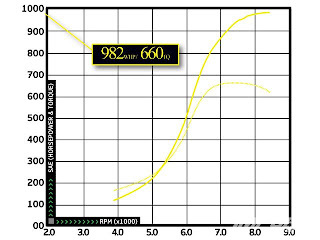 From as little as 2,200 rpm, the engine develops 350 lb-ft of torque or greater. "As we continue testing the VR engine, we will eventually find out if this well-engineered motor can handle more boost and power than most anticipate," explains Shen, "but at this time, the biggest downfall is the GR6 dual-clutch six-speed automatic transmission, and its reliability at handling 700 lb-ft of torque or more." Carter, the editor of Import Tuner is a Motorex R33 GT-R owner, so get out there support the issue, buy it off the stand. Thank you much.